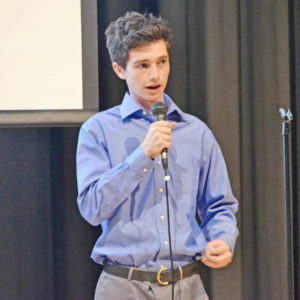 Online Marketing with Marc Guberti, a young entrepreneur and online marketing expert. He shares his story of entrepreneurship at an early age, and specific tips for online marketing for small business owners. Marc is an entrepreneur, author, blogger, podcaster, coach, educator and college student! Marc is an accomplished young man who began his entrepreneurial journey when he was a teenager. He has been featured in the Huffington Post and SUCCESS Magazine. An writes for ProBlogger, Business2Community, and the Westchester Business Journal. He is the host of the Breakthrough Success Podcast, with 182 episodes released and counting (5 episodes per week!). Marc lives in the greater New York City area.